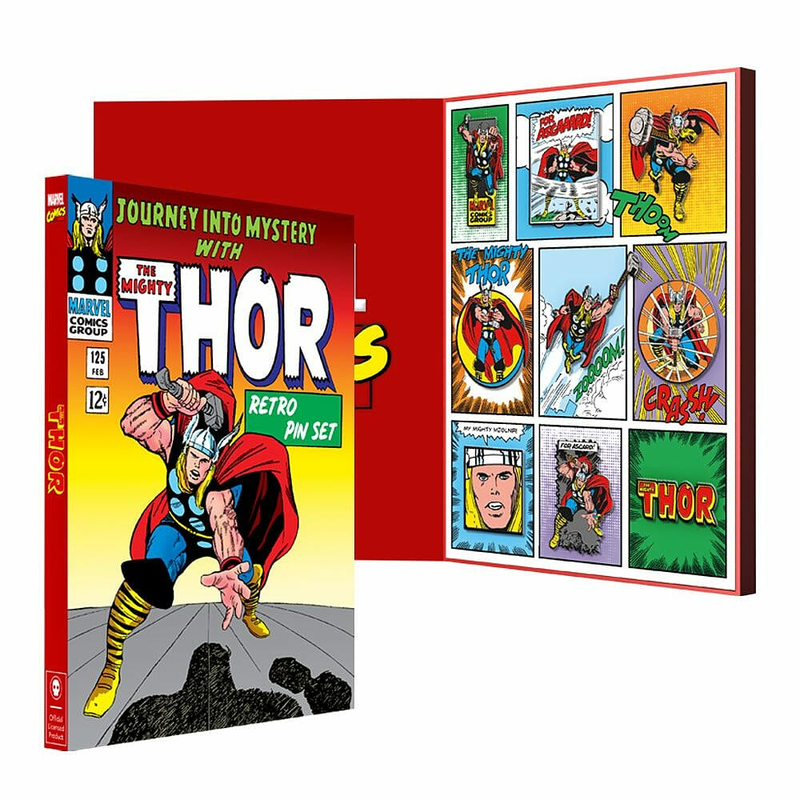 This official Thor retro pin badge collector’s set is the ideal gift for Marvel and superhero fans! The presentation box, based on the classic comic books from the past, houses 9 premium quality pin badges which can be pinned to your coat, jacket, backpack, or left in the box for display purposes. 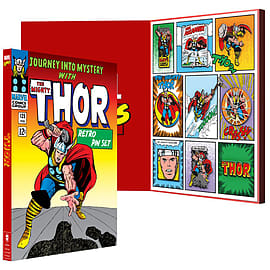 Whether you’ve been a Marvel fan since the comic books, or recently discovered The Avengers heroes through the movies, this is a must-have collector’s piece!